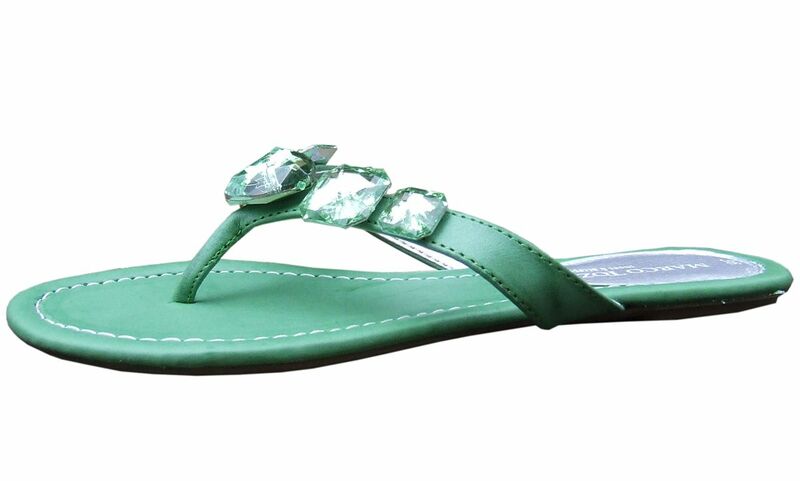 Striking peppermint green imitation leather toe post sandal with five clear gems on the toe post for that extra sparkle. Rubber sole with flowers engraved on the sole. Perfect for day or night. Also available in pink and turquoise.